Golf Club Villas in Davenport, FL by FID Capital Group | CHRISTOPHER DIAZ, P.A. A luxurious upscale custom built ultra-modern development on pristine 18 hole golf course. This unique town home project is made to a high quality and luxury standard, mainly intended for either a second home or residential home. It feels like being in an oasis in the middle of nature. The plants and wild life are breathtaking as are the evening sunsets on the balcony of your home or the club house. 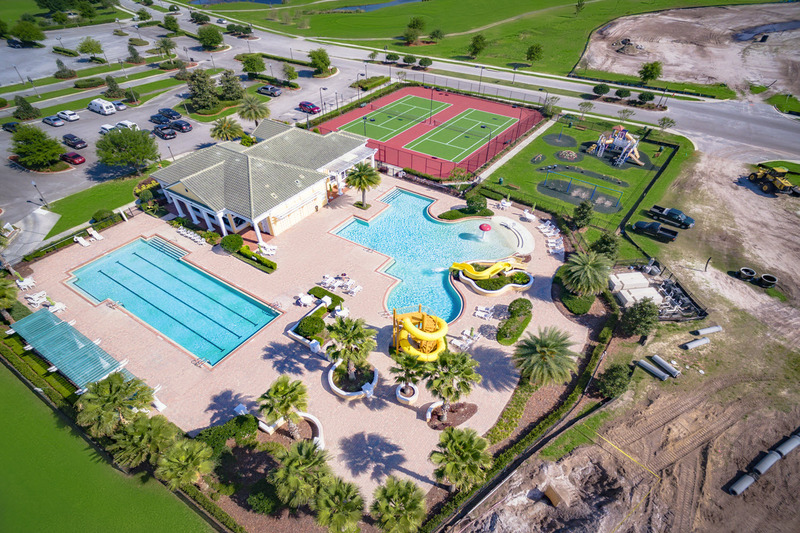 Providence is a beautiful gated community located in Davenport, Florida that offers residents luxury amenities in a convenient Central Florida location. Minutes from major Florida highways, residents can enjoy area hotspots and popular attractions. The community itself was designed with active families in mind. Amenities include a fully-equipped fitness center, tennis courts, a resort-style swimming pool, walking trails, and more. Built on 2,200 acres of Florida land, Providence takes advantage of the natural Florida landscape in order to create a beautiful community for you and your family. Residents can choose from single-family and The Home Within A Home® floorplans meaning the community can accommodate all families, large or small. Aerobics Studio: This multi-purpose activity room located in the fitness center holds aerobics classes, karate, and other activities for children of all ages. Fitness Center: A family-oriented fitness and aquatic center features state-of-the-art exercise equipment. Club House and Community Center: Resort-inspired club house and community center features a restaurant, full-service bar, banquet area, Pro Shop, driving range, putting green, and more! Safety: Gated community entrance with 24-hour security. Lake/Pond: Natural lakes and ponds located throughout the Providence community. Playground: Child-friendly areas located throughout the community. Swimming Pool: Providence has two swimming pools: a resort-style pool with slides and lounge chairs and a lap pool for exercising. Tennis Court: Play day or night on our highly illuminated tennis courts. Tot Lot: Child-friendly areas located throughout the community. Trail: Wide sidewalks for bicycling, running, and walking to the golf and recreation center.